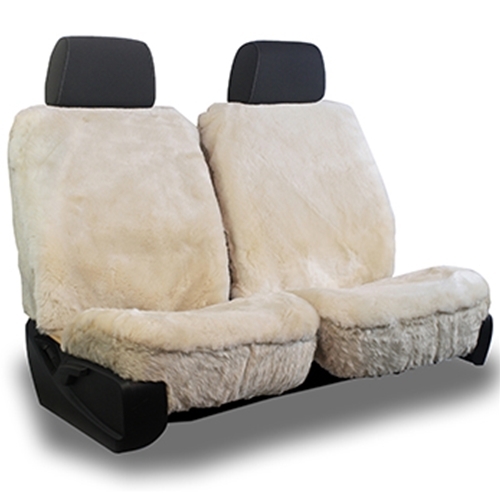 Our Tailormade series of sheepskin seat covers are simply the finest available in the world, at any price. Tailormade Originals are hand-crafted from specially selected premium-grade Australian or New Zealand pelts in our factory to fit every contour of your vehicle's seats with absolute precision. 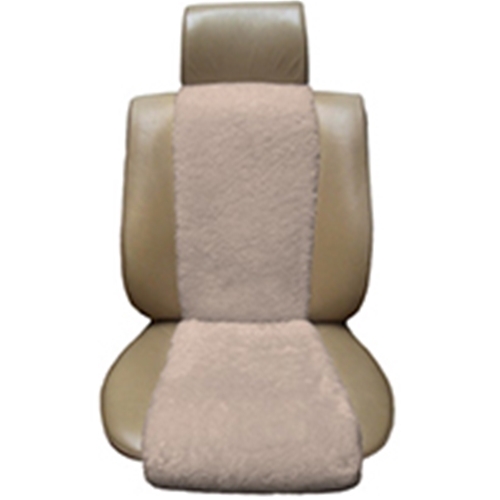 Super-plush fleece covers the entire seat surface, including the sides and upper back portion of the seat back, while our exclusive strapping system ensures years of driving comfort. The result is a masterpiece of unbelievable luxury. 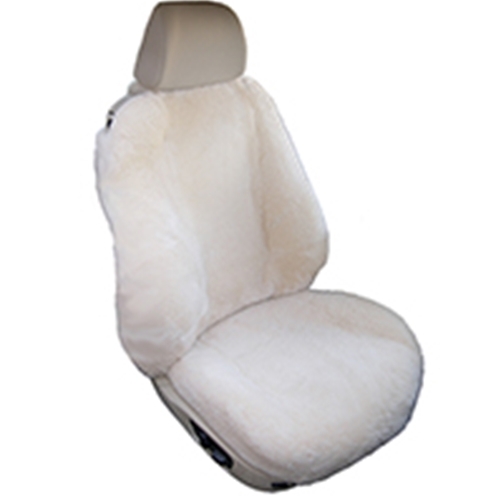 Superlamb has been the leader since 1978 in the manufacture and distribution of sheepskin car seat covers. Our knowledge and experience ensure that you are getting the best products available on the market. Thinking of buying just one? Please note that 90% of our customers who purchase a single seat cover return within 7 to 10 days to have the other seat covered as well. Customers who do not order both at the same time may see slight variations in wool texture, and in color due to dye lot changes. Make driving much more pleasurable and comfortable. Protect your vehicle's seats from premature wear and tear, including accidental punctures from sharp objects in a back pocket such as screwdrivers, combs, scissors, etc. Sound familiar? 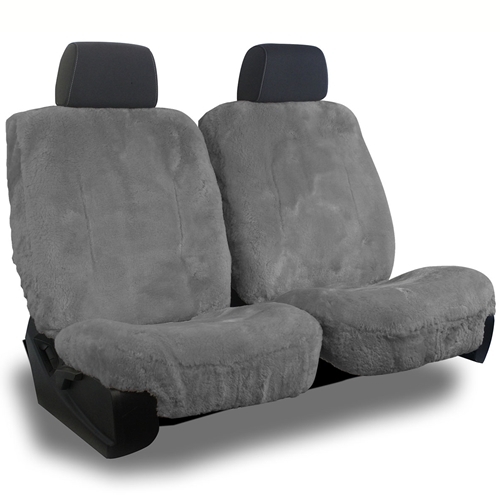 Realize top dollar at resale or trade-in by protecting your upholstery. Just ask your dealer. Maintain body temperature - you're never hot and never cold. Safe, by making the necessary cutouts in the exact location of where your seat side airbags deploy in the event of a side collision. For added protection, Superlamb has a break-away strap designed to allow side airbags to deploy even if the cover has moved on the seat. Naturally fire retardant (prevent cigarette burns on seats). Long lasting. When cared for properly, Tailormade Original covers generally have a lifespan of 12 to 15 years. Fleece measures approximately 1" and is among the densest in the world. Safeguard against stains; coffee and soft drink spills are easily cleaned. Simple maintenance. Light brushing & vacuuming will keep them fluffy. Easily dry cleaned. We recommend cleaning every couple of years, and we also provide this professional service. 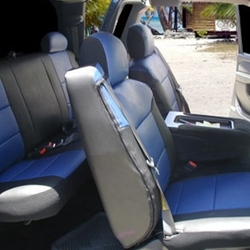 Optional seat belt, headrest, armrest and console lid covers complete your custom interior. Trained staff to ensure superior customer service, and a toll-free phone number for installation help. Seams are made virtually invisible using a proprietary process. Accessibility to power controls and side air bags. 3 year warranty on materials and workmanship (not applicable to normal wear and tear or fading).